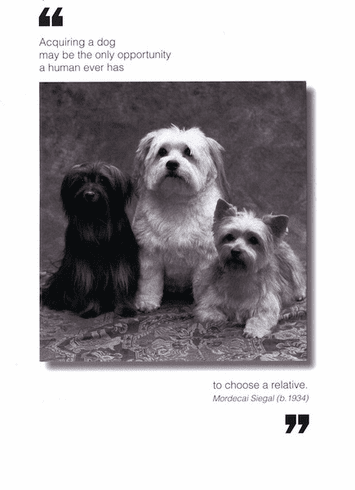 Outside: Acquiring a dog may be the only opportunity a human ever has to choose a relative. - Mordecai Siegal Inside: Blank. Borealis Press card measures 5 x 7 inches. Includes envelope.